When I travel, I like to visit local menswear shops to find unique items and get a feel for the local fashion scene. 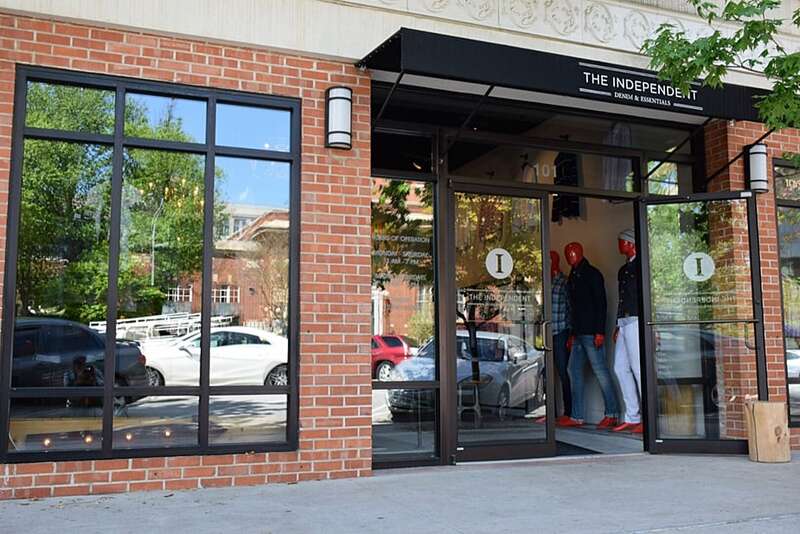 On a recent trip to Bentonville, AR, I stumbled upon an interesting shop called The Independent (110 NW 2nd Ave., Suite 106 Bentonville, AR 72712). Okay, I know what you’re thinking. Arkansas isn’t a state that is known for its haute couture, but The Independent is proof that well-dressed men live everywhere. I discovered The Independent because of Geena Davis. I was invited to a happy hour event at the shop with the actress during the Bentonville Film Festival. Jon Voight, Tim Reid, and few other actors and directors also showed up to sip champagne. While it was fun to rub shoulders with these celebrities, I was more interested in chatting with the shop’s owner, Judson Lee. Wearing a military-inspired jacket, with a white tee, jogger pants, and clean white sneakers, Lee perfectly represented the image of his shop – modern, casual, and hip. Although Lee’s sense of style is impeccable, it is his warm personality and infectious laugh that really draw you in. Lee and his business partners started in the men’s fashion business by opening a traditional menswear store in Robinson, AR. They followed that one with a more contemporary store in Fayetteville, AR. The Independent in the most modern iteration of their menswear retail journey. “We wanted this store to be edgier than the other stores,” Lee said. “Bentonville has been branding itself as an arts and entertainment center. The Independent fits the city’s vibe. The store’s architecture is influenced by Scandinavian design. With white-washed surfaces, exposed pipes and concrete, and wooden accents, the store is sleek and inviting. Lee told me that local guys like to shop at The Independent because they can find what they need without feeling overwhelmed by too many choices. But as a men’s clothing store owner, Lee has a hand in shaping local tastes. When selecting items to stock, he considers current fashion trends, but ultimately, he relies on his personal fashion sense and knowledge of his customer base. “We carry major brands such as Billy Reid and Rag & Bone because they are high-quality and popular,” Lee said. “But when I’m shopping for merchandise, I usually go with my gut,” Lee said. During our conversation, I decided to test his gut. I pretended to be a customer who needed an outfit to impress a date. I told him that I was taking her to a nice restaurant and later we’d go to a trendy bar for drinks. Lee thought about the situation for a moment and selected dark jeans, a button-down shirt, a casual blazer, and simple white sneakers. I gave him a thumbs up. In addition to being a salesperson, Lee is also an advisor, consultant, and mentor. 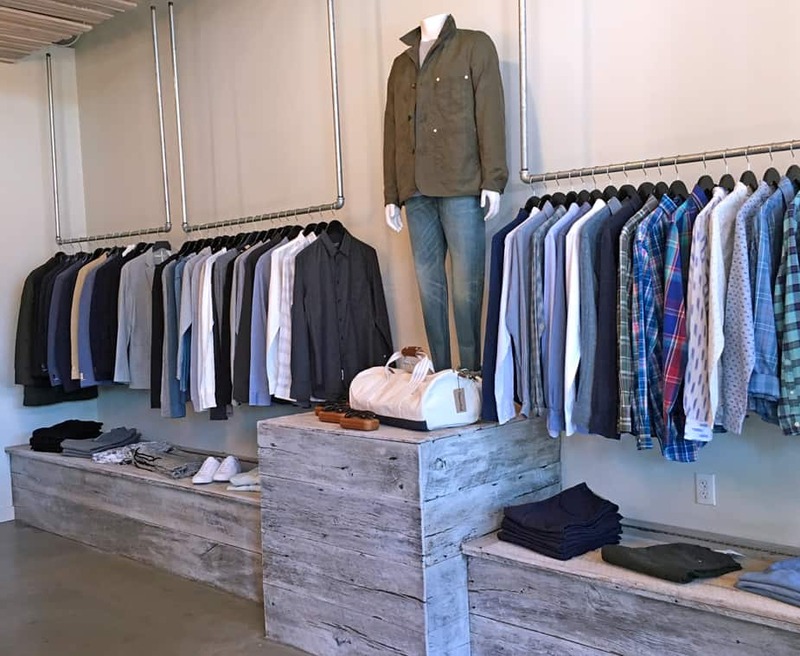 Many guys walk into the shop clueless about fashion and need help putting together and outfit. Lee is quick to share his knowledge and help guys choose clothing that makes them look great. 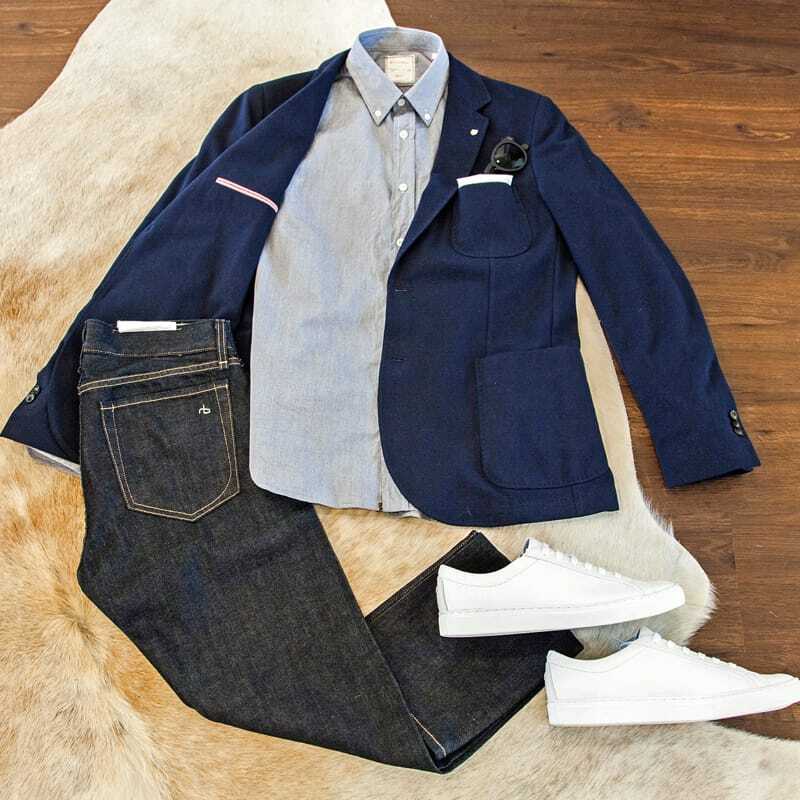 Lee advises customers who are building a wardrobe to start with basics – dark jeans, a few nice dress shirts, a navy blazer. “When you have these staples, then you can branch out and experiment,” Lee said. The Independent owner, Judson Lee, strikes a pose in a stylish ensemble. “The athleisure trend is still pretty popular as is casual style in general,” Lee said. “Some upcoming trends are wider leg pants, cropped pants, and clothing made from interesting, unique fabrics.” He showed me a pair of All-Day Shorts made from water repellent material. “You can wear these shorts for a walk in the park,” Lee said. “Take a dip in the pool, and they’ll be dry before you get to your car.” Lee also showed me some soft, luxurious French Terry Jeans and a pair of super-light shoes made from recycled bottles. As we talked, a woman tapped Lee on the shoulder to ask for some advice. “I want to buy my husband a blazer, but I don’t know what size he wears,” she said. Lee asked her a few questions about her husband and deduced that he wore a size 40. I saw the women the next day, and she told me that the jacket fit her husband perfectly. Thanks to Lee, one more man has been added to the ranks of stylish Arkansans.